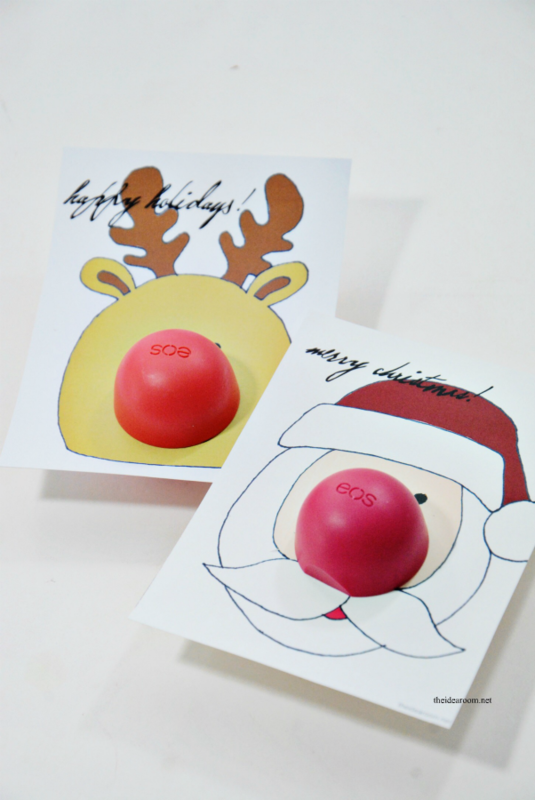 I have had several of you ask about making some Christmas Gift eos printables. I hadn’t planned on making any, but since so many of you asked, and I like a creative challenge, I made some. 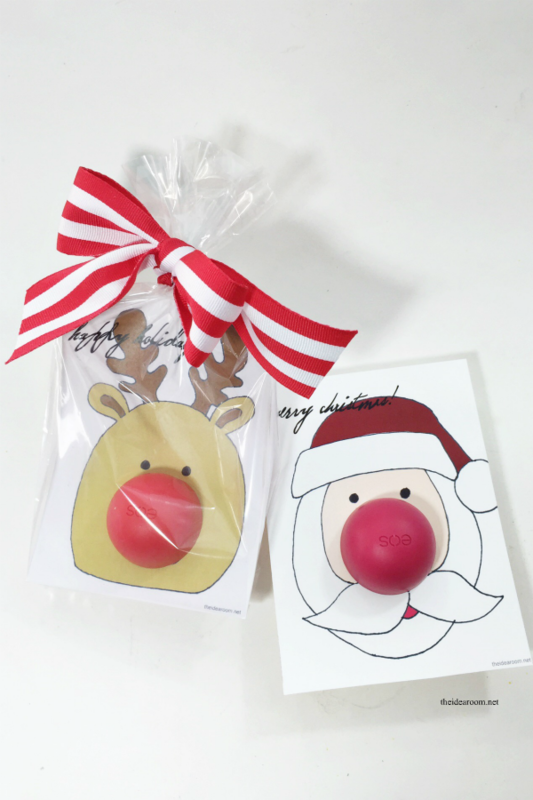 It was actually last year that I got the idea to make these after seeing an adorable Reindeer eos gift idea that was created by Vanessa from Tried and True and featured on The Crafting Chicks site. 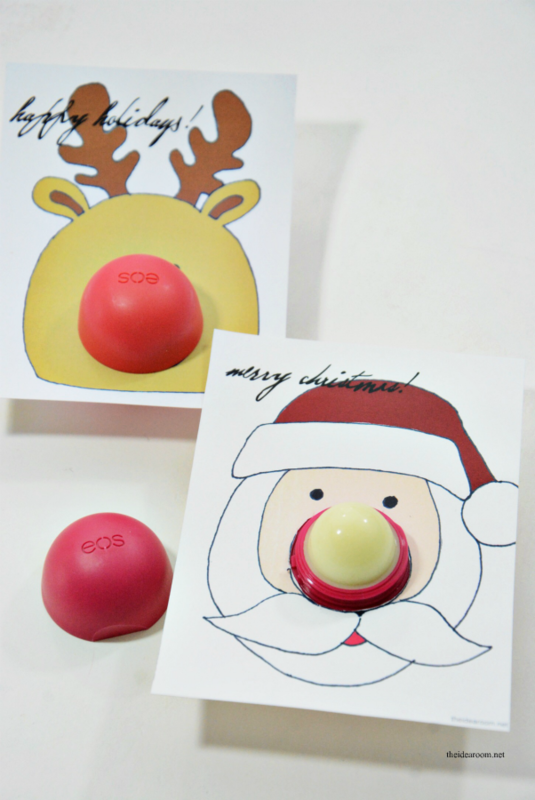 I loved the idea so much and my girls are big fans of eos chapstick. We printed them out that year and gave them to several of their friends. That inspired me to create some Monster Valentine eos cards. Since then, I have had several of you emailing me to ask me to create some for the different holidays. This completes my set. 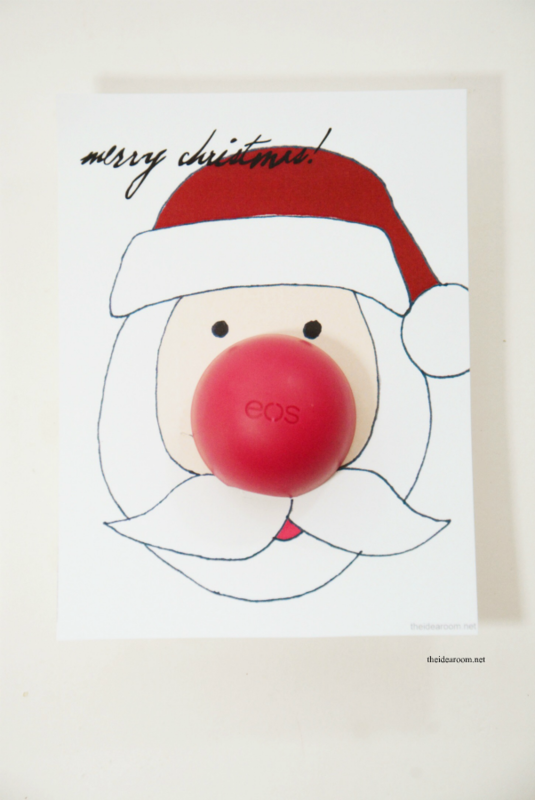 I have hand drawn them all and then created them into a fun Christmas printable that I am sharing with you today. 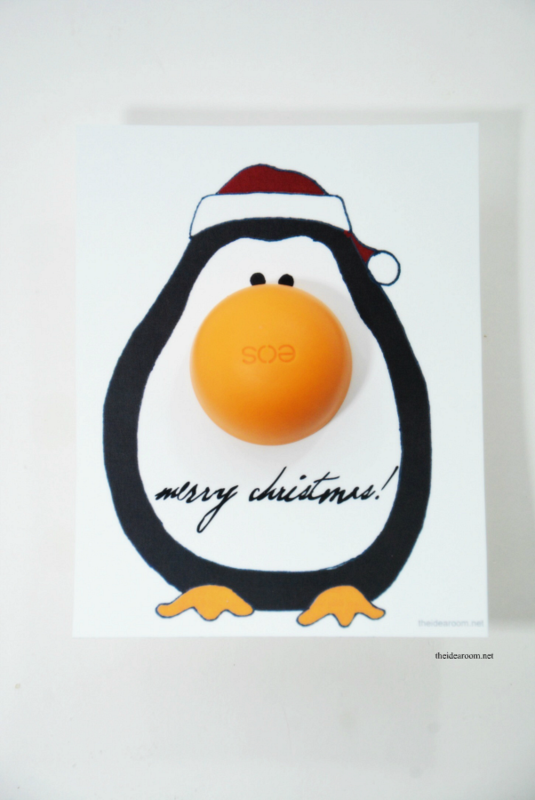 So, if you need a little gift idea, and you have a fan of eos Chapstick, this is for you. They would also make a fun little stocking stuffer or a teacher’s gift attached to a gift card to their favorite movie theater or restaurant. 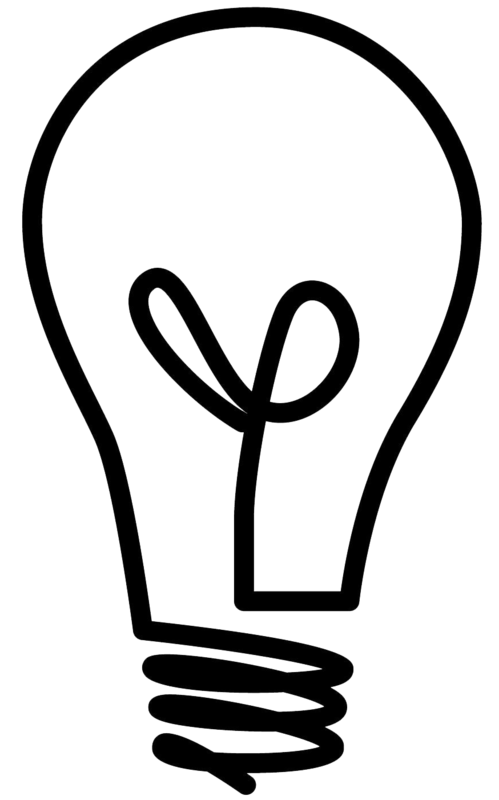 All you need to do is print them on some white card stock. When printed, cut them out. 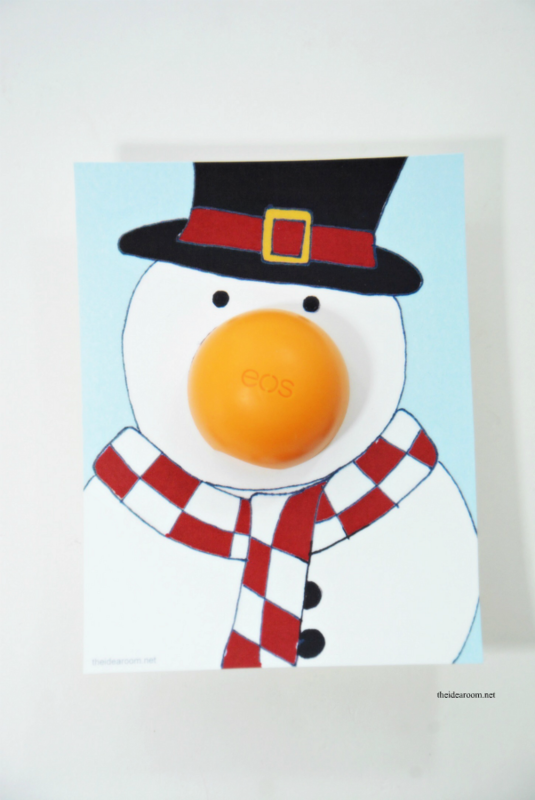 Then cut out the circle where you will be placing the eos chapstick. Put the chapstick through the hole and then screw the lid back on. 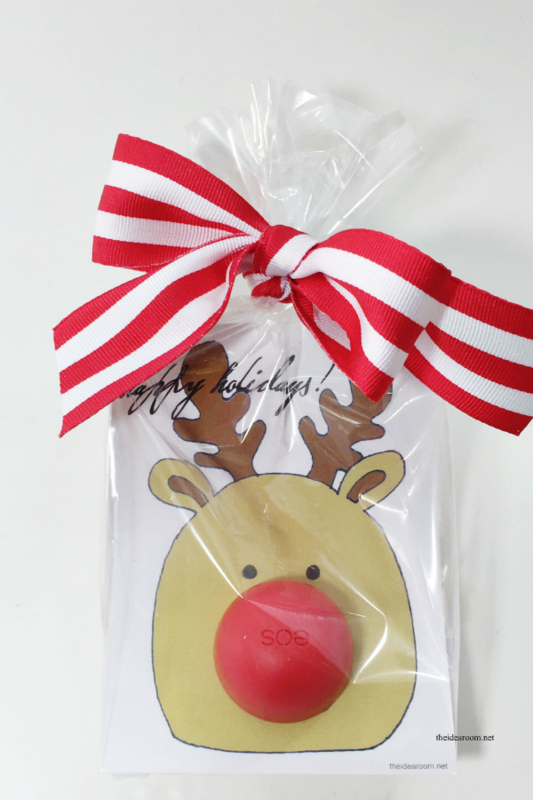 Wrap up in a little cellophane baggie (mine is about 8 inches tall and 4.5 inches wide) and tie it off with some ribbon! It really doesn’t get any easier than that. *Please remember that ALL of my Free Printables are provided here free for your own personal use. Please do not repost or sell them as your own. Please send your friends and family here to this page to get their own copies. 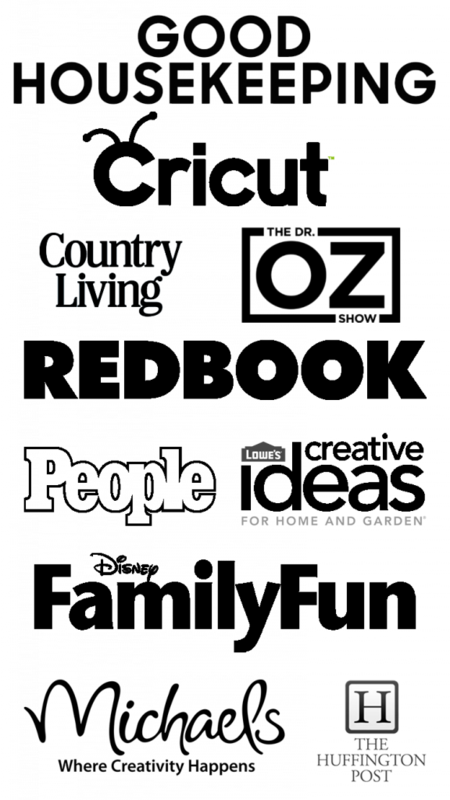 This is how I am able to provide you free content. Thank you! Vielen Dank für die Downloads! Thank you Amy. 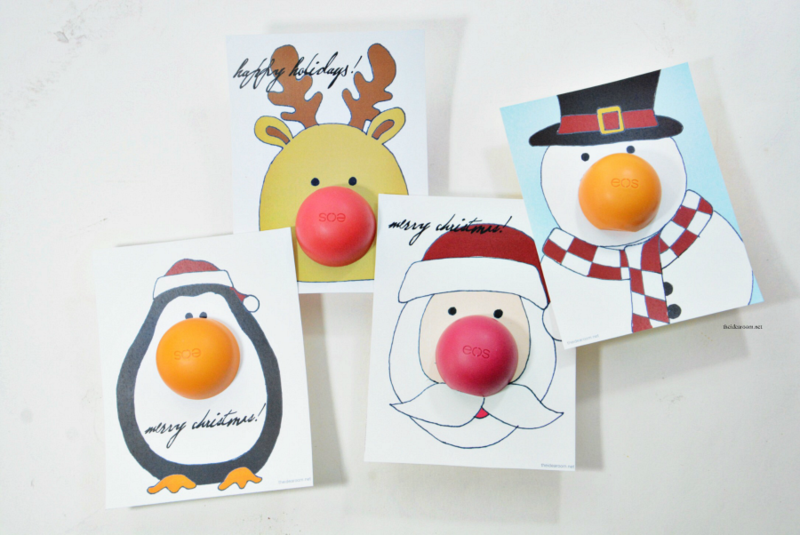 These are adorable and will make useful inexpensive gifts! So glad you like them! Thanks so much for the sweet comment! Thank you for these!! You’re the best. 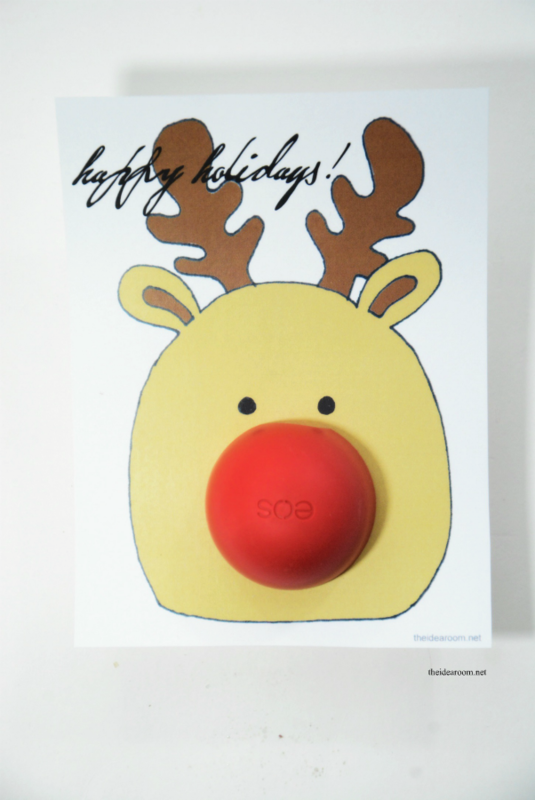 Happy holidays to you and your family. You are welcome! Glad you are able to use them! Thank you for these! I just made 10 of them as gifts for my girlfriends who are coming for dinner next week. SO easy and they are adorable!! Theses are adorable! Do you happen to have other holidays, such as Halloween or Valentine’s Day. I’m doing this for my sons teachers. Thank you so much, this is so stinkin cute. Val-So happy that you like them! Thank you! You are so creative. My girls will love this. A project they can help with. 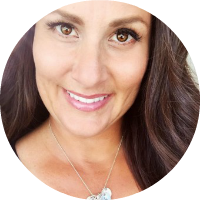 Jeanne- Thank you for your kind words! I am so glad that you found this post useful! Jeanne- You totally should make this with your girls! Thank you for your kind words! 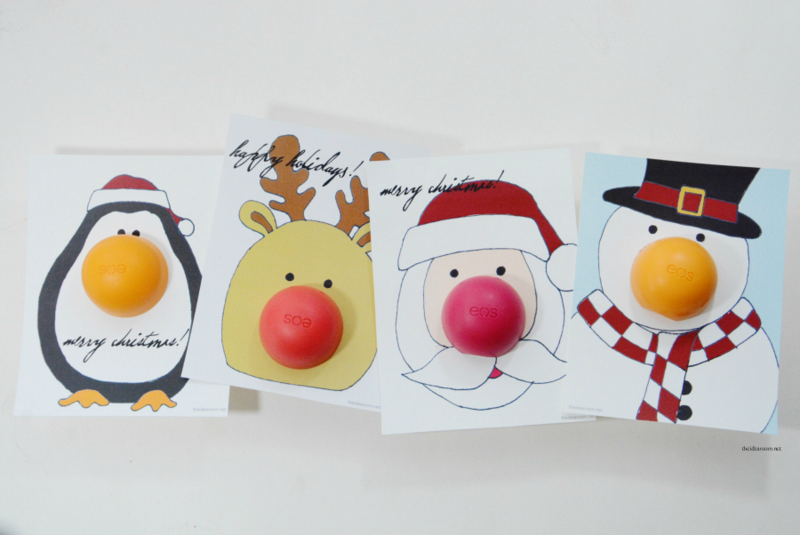 I used these with individually wrapped circle gummy candy for the nose and put them in my kids xmas stockings. Thank you so much for the great printables.